Beaver Island Jewelry: Love those Earrings! I love earrings and I know lots of other people do too. Beaver Island Jewelry sells a lot of earrings so I guess lots of people love buying earrings. 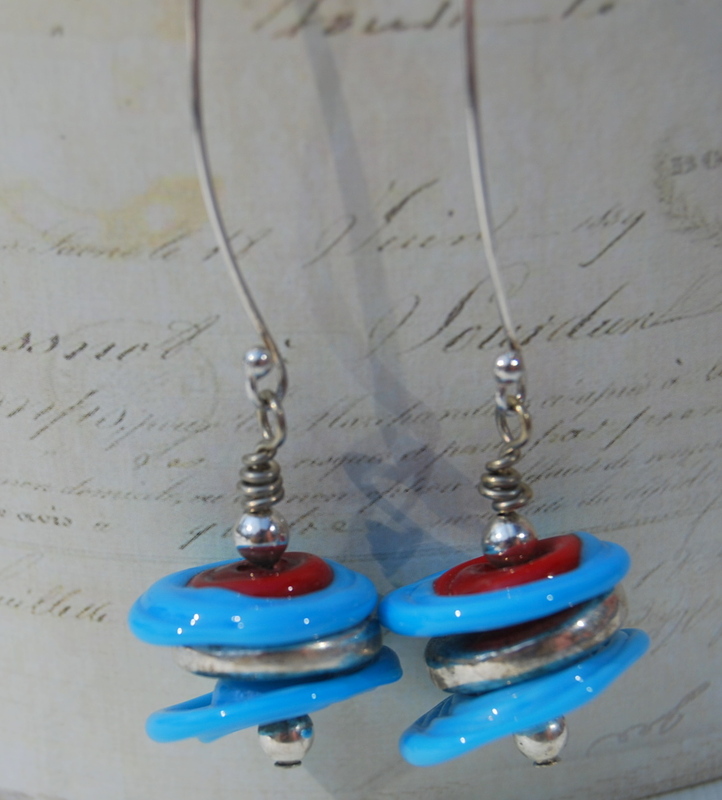 I love making kind of "funky" earrings. 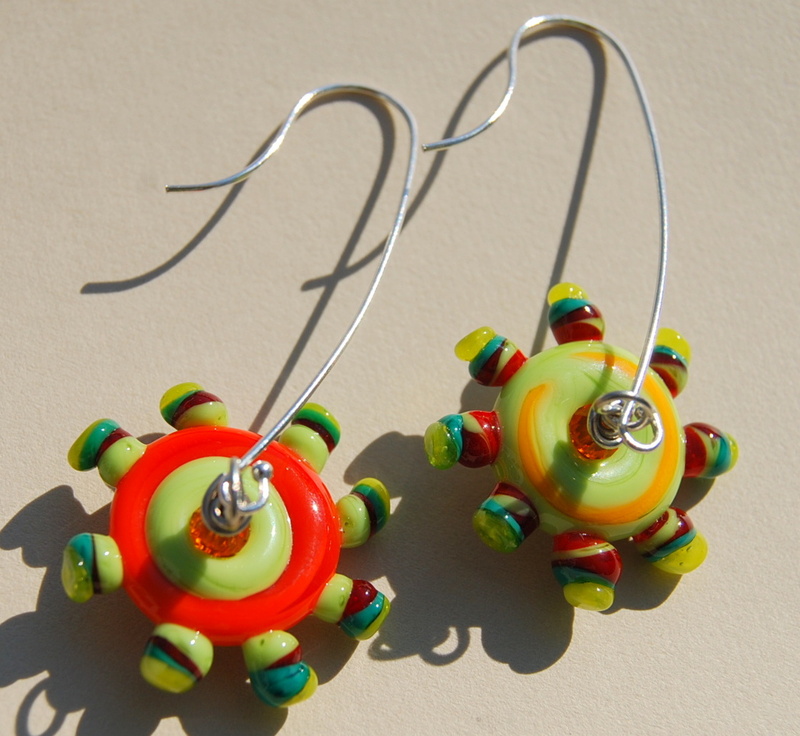 Mismatched colors or shapes, fun colors, added charms. There are lots of ideas around. When I think of something I write it down on my "to do" list. Below are pictures of a sampling of my earrings. Included are my new Beadhopper earrings which are "hooks" and the attached bead part can be made with the interchangeable system. Then you can buy the earrings and extra beads to change out. Sometimes you find great pieces parts to use in your earring sets. 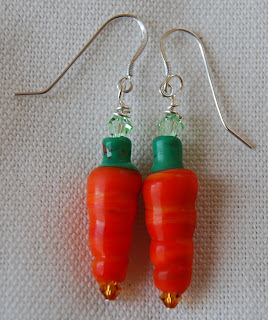 Then along with some cool shapes you can make some interesting earrings. The above earrings are made with the Beadhopper system with the interchangeable beads. Of course, I need to have the extra beads that people can purchase along with the original earring set. 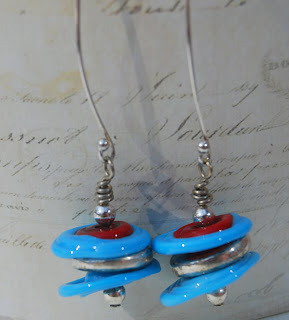 Love these earrings - in fact I have been trying to re-produce something like them. Love the color of this class - caribean. 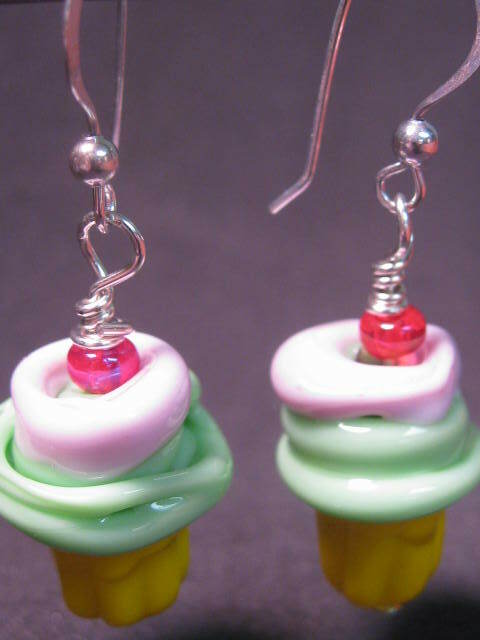 And then my cupcake earrings! I also do cupcake bracelets. Yum, and non-fattening. 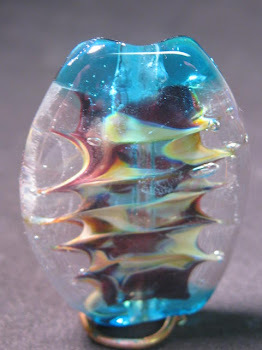 Take a look in my ETSY shop at BrownDogGlassBeads and now in The Pear Tree shop in Dixboro (Ann Arbor), Michigan. 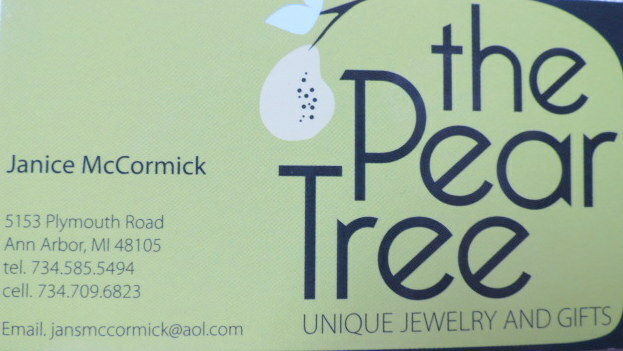 The Pear Tree is next to Moonwinks Cafe (you can get a latte while shopping). Great artisan shop! And lots of my earrings in The Pear Tree.